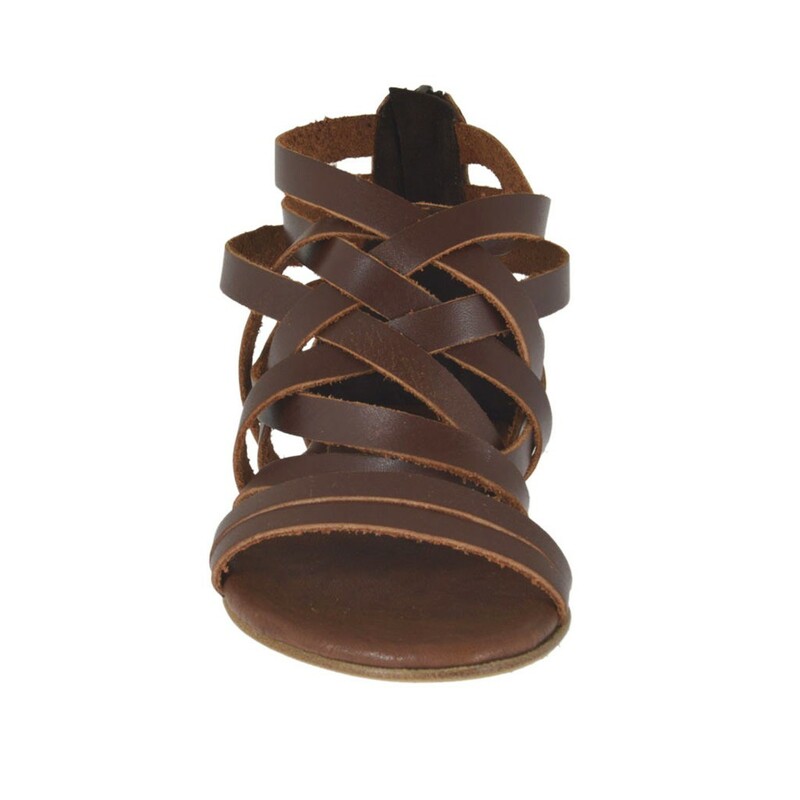 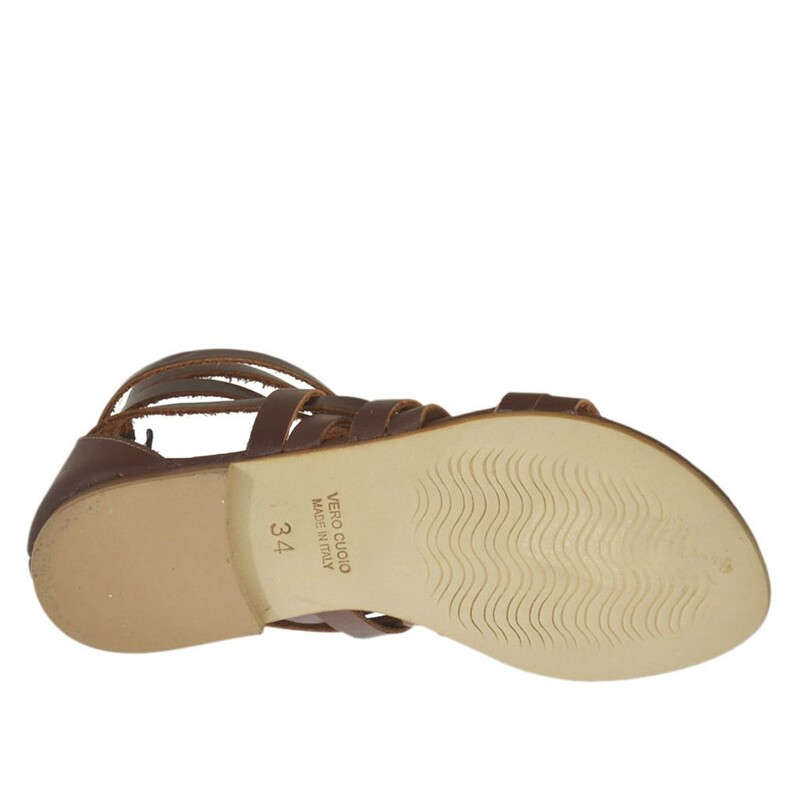 Woman's open shoe with intertwined straps and zipper, 1 cm. 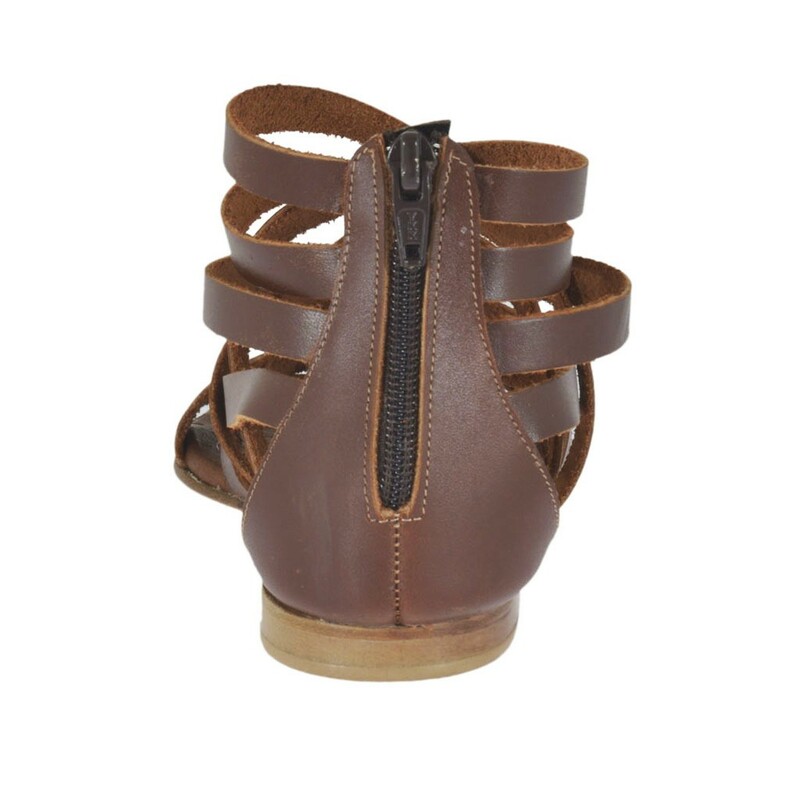 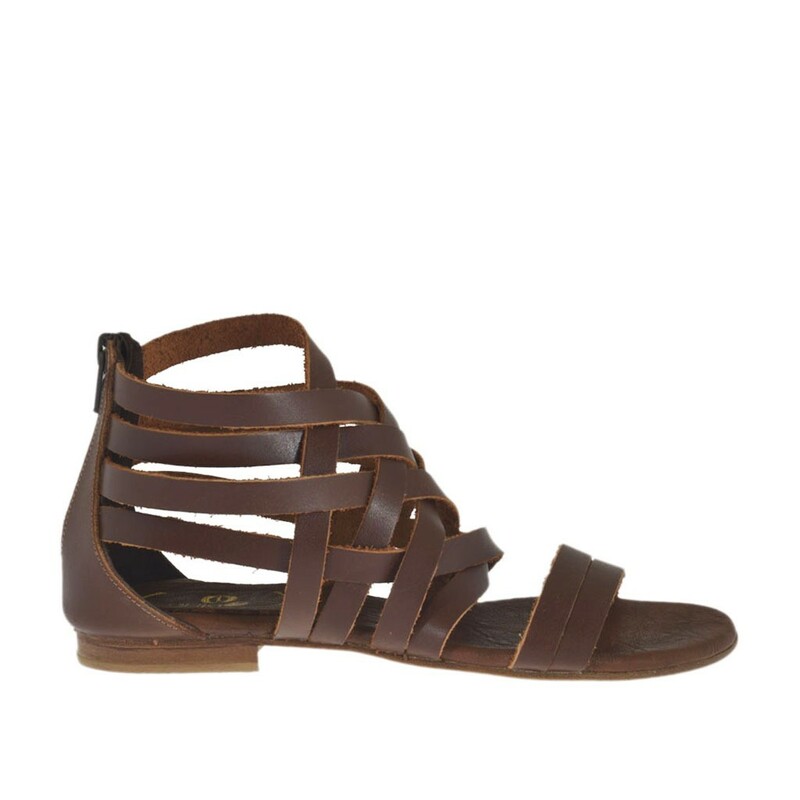 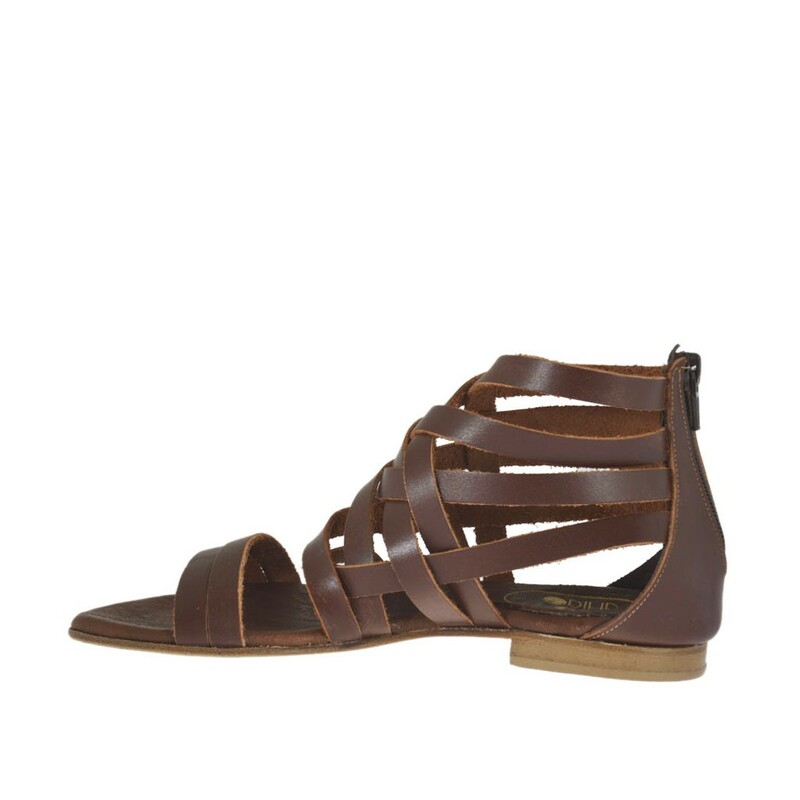 high heel, in brown leather, leather sole, leather lining. Available in small and large sizes.